Christmas is a special time for celebration and should not end in tragedy because of the extra hazards that are present at this time of year. So when you’re decking the halls make sure you follow our simple advice and stay safe. Unplug fairy lights or other electrical Christmas decorations when you leave the house or go to bed. 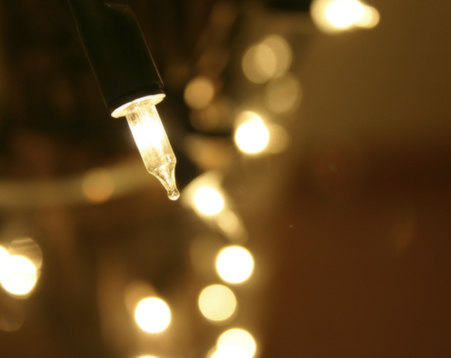 Check fairy lights are in good working order and replace any bulbs that have blown. Bulbs can get very hot, don’t let them touch materials that can scorch or burn easily, such as paper or fabrics. Make sure the fuse in the plug is the correct rating. If you need to plug more than one appliance into an electrical socket use a multi-socket adaptor which is fitted with a fuse and has surge protection. Decorations made of light tissue paper or cardboard burn easily. Don’t attach them to lights or heaters. Don’t put them immediately above or around the fireplace. Keep them away from candles. Always buy your tree from a reputable retailer to ensure the freshness and quality. Needles on fresh trees should be green and hard to pull back from the branches, and the needle should not break if the tree has been freshly cut. The trunk should be sticky to the touch. Old trees can be identified by bouncing the tree trunk on the ground. If many needles fall off, the tree has been cut too long, has probably dried out, and is a potential fire hazard. Don’t place your tree close to a heat source, including a fireplace, heat vent or candles. The heat will dry out the tree, causing it to be more easily ignited by heat, flame or sparks. Be careful not to drop or flick cigarette ashes near a tree. Do not put your live tree up too early or leave it up for longer than two weeks. Keep the tree stand filled with water at all times. Never put tree branches or needles in a fireplace or wood burning stove. When the tree becomes dry, discard it promptly. The best way to dispose of your tree is by taking it to a recycling centre or having it taken away by a community pickup service.